Orange rewinds love in “Rewind City”, a commercial which has just won the Grand Prix for TV/Cinema/Digital at the Cresta Awards 2009. The ad was produced in association with Michel Gondry’s 2008 film, Be Kind Rewind. The award follows on from the advertisement’s success at the Epica Awards, London International Awards (Silver for Editing), Eurobest 2008 (Silver) and Cannes International Advertising Festival (Bronze). A tearful backpacker’s unexpressed wish comes true when a village’s pedestrians and traffic spontaneously reverse direction until the bus that whisked her lover away returns him to her arms. The Rewind City campaign was developed at Publicis, Paris, by creative director Olivier Altmann, art director Frederic Royer, copywrier Olivier Camensuli, agency producer Muriel Allegrini and Pierre Marcus. 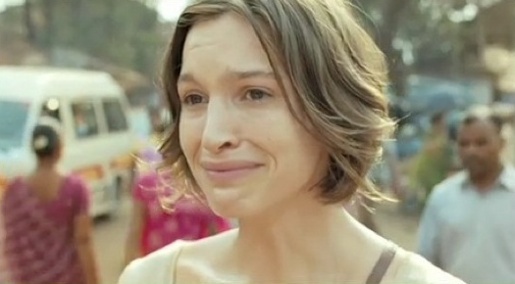 Filming was shot in Goa, India, by director Ringan Ledwidge via Rattling Stick and Wanda Productions with director of photography Jess Hall, Rattling Stick executive producer Sally Humphries, Wanda Productions executive producer Nancy Gabriel, production manager Demelza Jones, art director Nick Foley Jones and 1st AD Jez Oakley. Production service was provided by Kas Movie Makers in Mumbai.